Hiking means exercise. Outdoors means adventure. Adventure means fun and exploration which is everything a kid could ask for. 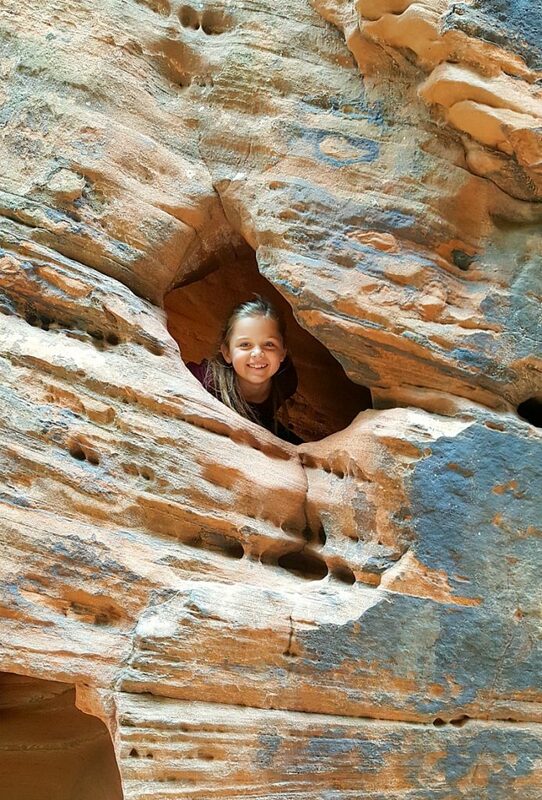 Zion National Park in Springdale, Utah, allows children to explore in caves, experience breathtaking views, run, imagine, and hike. Watching this can only make you, as a parent, smile and reveal your own inner child. It’s a win win situation that enables you to leave all the worry and cares of “daily life” at home and focus on fun and fresh air. Family road trips seem to be our signature way to vacation. A road trip is often cheaper than flying and you get to stop and explore along the way. 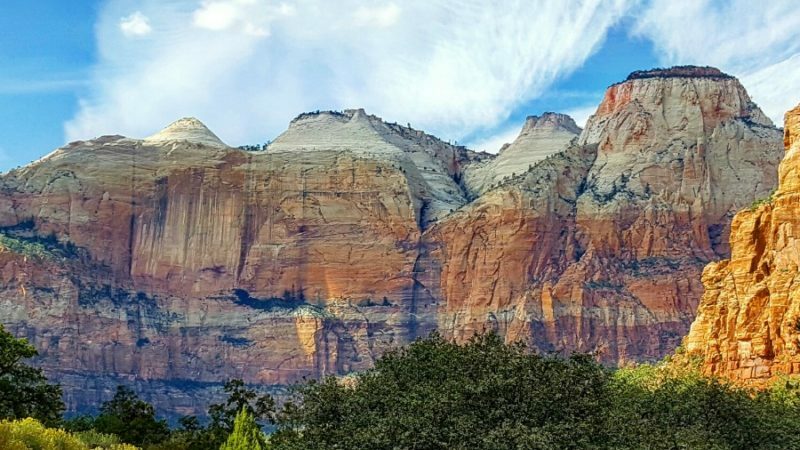 One such road trip lead us to Springdale, Utah, and Zion National Park. 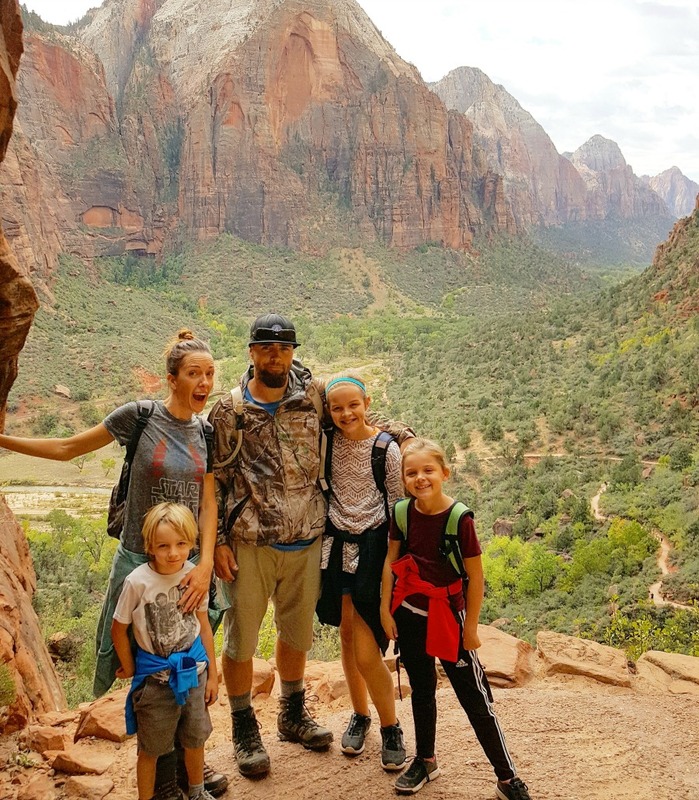 Zion National Park was a first time adventure for our entire family. The area was easy to get to and easy to navigate. We stayed in a hotel near the entrance. We were surrounded by all of the comforts of home, yet felt so far away. The park offers trails for all walks of life and so much unique beauty to be discovered on each one. When your child is filthy, giggling, and still saying “Wow! Look at that!” after 7 miles, you know you’ve made the right choice. Scouts Lookout is a 95% uphill climb with amazing views and incredibly steep drop offs. We were met with sheer cliff face on one side as we ascended up the mountain. We took our 3 kids, ages 12, 10 and 6, and only the 12 year old complained…go figure. We all made it to the top, being sure to take water breaks and sit periodically. When we arrived at Scouts Look Out, the view was absolutely magnificent. There are bathrooms; however, the only barriers between you and a 700 foot drop off (lookout) are literally a few metal poles to hold on to if you want to get the up close and personal look. Do not leave children unattended or let them take a look alone. PLEASE. Children should not be running and frolicking in this area. Luckily the chipmunks keep the kids entertained and the cliff is not the focus of attention. There are a few nice trees and smooth boulders to sit on away from the cliff that are perfect for hydrating and snacking on protein and carbs. WARNING– These chipmunks mean business. They are adorable, yes, but they were also trying to crawl into our backpacks to get our snacks, AND crawling over our shoes and in between us with no fear. Beyond the Scouts Lookout is the Angel’s Landing trail. This is a 2.4 mile hike round trip. You must hold on to chains to and from to keep your balance. A narrow strip of rock ascends to a high peak with an insane view. This trail is crowded, this trail is dangerous and should not be attempted by anyone with vertigo or a fear of heights…truth be told, my fear took over and I only made it 2/3 of the way. I’m not an expert hiker by any means, but I’ve taken my family on quite a few hikes in the past few years. 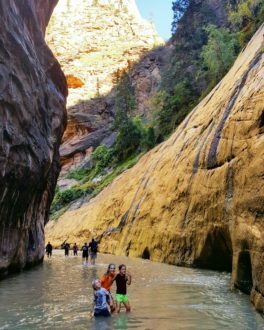 The Narrows is by far the most fun we’ve had on any hike to date. The full hike is actually a total of 16 miles though the deep river canyons of Zion. The river winds back and forth revealing gorgeous boulders and waterfalls around every turn. The water? FREEZING, but after a few minutes you become numb and because of the awesomeness around you, you forget all about it. This was adventure! The water is anywhere from ankle deep in some spots to thigh high in others so stay close to little ones. The midday heat is brutal in summer and early fall so this hike is a welcomed experience offering ample shade and cold water. 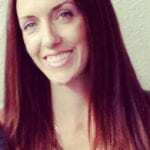 TravelingMom Tip: Wear close toed shoes! NO SANDALS! NO FLIP FLOPS! You want a sturdy shoe that will protect your feet and offer support with balance as you trek over countless river rocks of all sizes. Springdale Candy Company – A quaint little shop in the middle of town with candy, chocolate and ice cream. 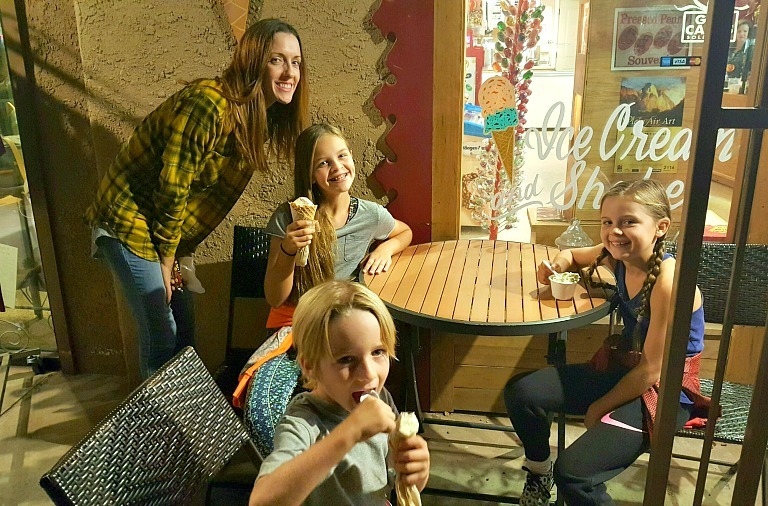 There is a sweet treat for everyone here and the best part is sitting outside in the warm evening air surrounded by gorgeous mountain peaks while you enjoy it. 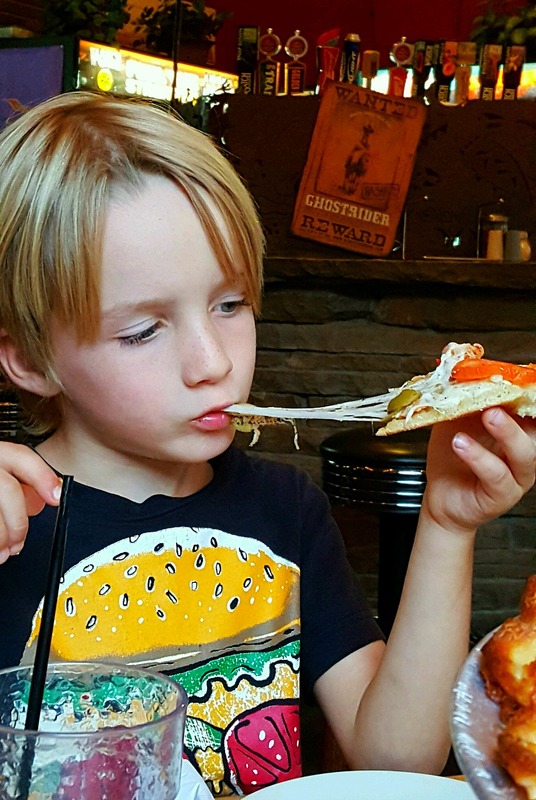 Zion Pizza and Noodle- Pizza perfection! While a little pricier than other pizza/Italian spots, this place had delicious pizza combinations. We had the focaccia pizza and the BBQ chicken which were equally delicious. Great space for kids, superb views, and a tasty variety of quality microbrew beers…for the adults of course. You cannot drive to the trails. You must take the park tram. The park gets full by noon. The tram has 9 stops for all of the different hiking trails and sights. The tram starts at the visitors center (stop #1) and continues on to 8 separate stops. Try to get on the tram by 9-9:30 a.m. to avoid the line and secure a seat for the kiddos. The hotels have laundromats! We got ridiculously wet and dirty and it was so great to throw our clothes in a washer and head off to dinner. When your hiking day is through, you will be tired and most certainly want to sit down. 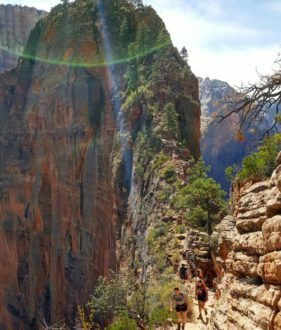 This is why you should save “The Narrows” as your only hike for the day or the last hike of the day. The tram back to town ALWAYS starts at stop #9 (The Narrows). This allows you to be the first on the tram for the 35 minute drive back. BRILLIANT. If you happen to be at stops #3-6 after 3 p.m., you will be waiting for a while as the tram will already be filled from the previous stops. Do you get my logic here? This was HUGE for us. We hiked the narrows and came out wet and soggy and tired, but we were the first ones on the tram and all 3 kids got to rest and sit for the duration of the drive. There were so many people in the tram by stop #5 that they were standing back to back squished against each other while we had the luxury of real seats. I tell you this because with small children it will be a life saver and make your trip that much more enjoyable! 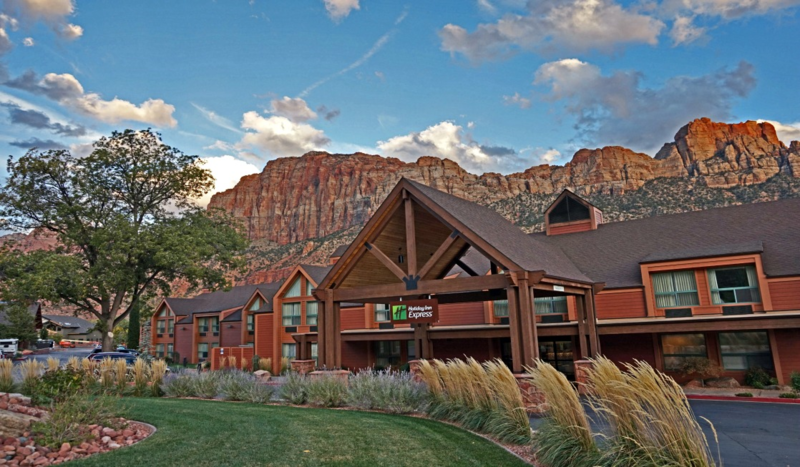 Get your family back to nature and find adventure in Zion for your next vacation. Unplug and engage with one another in a truly awe inspiring location. Life is short! We need more memories that make us smile, so get out there and create them!